This chart shows the rate of subscriptions and unsubscriptions per minute. We can see how busy our application is in terms of new subscriptions and unsubscriptions. Response Time chart shows how the Response Time changed with the time. 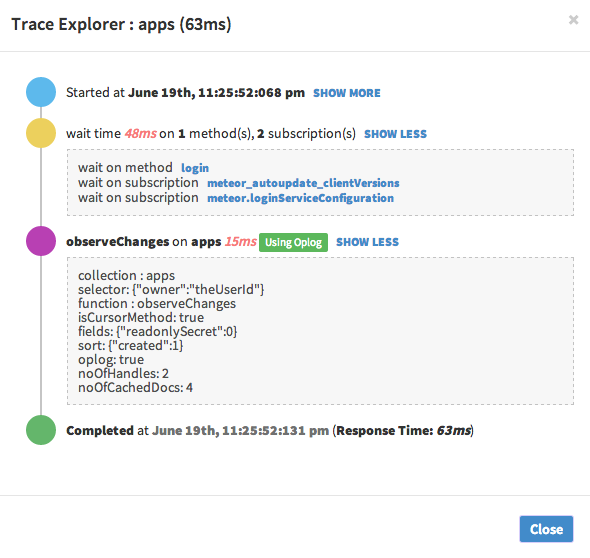 How do we track traces? 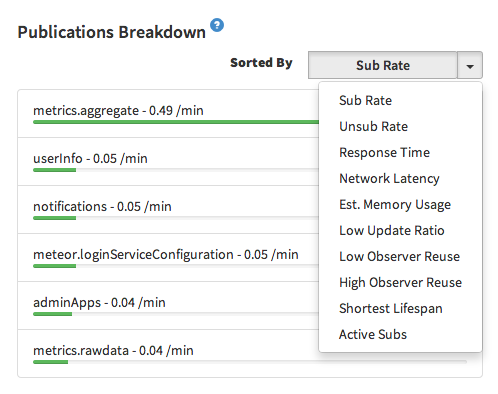 ﻿It is impossible to send all the subscription traces processed on your app into Meteor APM. Instead we pick outliers and send them. We send all the collected traces (if exists) once a minute.